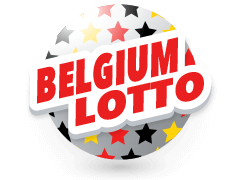 Belgium Lotto ranks highly among the Loterie Nationale lottos. It was first played on February 4, 1978. Yes, that right, it is tried and tested, and it has only gotten better over the years. The lotto began with a 6/42 matrix and later advanced to the current 6/45 matrix. The lotto was initially held only once per week. However, today you have the chance to participate in the draws twice per week. The Belgium Lotto has decades of history, and it dates back to 1934. Initially, it was a colonial lottery established with an aim to raise funds for treatment. However, in 1962, these goals were diversified, and it acquired a new name, the “National Lottery.” In 2010, this national lottery expanded into the digital space allowing the purchase of lottery betting slips online. The Belgium jackpot lotto begins at €1,000,000. If no player manages to guess the six main numbers, the jackpot can grow up to € 4,000,000 or even more. In addition to the rich history, the Belgium lottery is operated at a national level and regulated by laws making it legitimate. The rules of playing the Belgium Lotto are simple. As a player, you need to select 6 numbers out of the 45 numbers available labelled 1-45. To win the jackpot, you need to have the 6 numbers drawn from the jackpot. The same rules apply when you bet on the Belgium lottery online. You will be delighted to know that the minimum jackpot is one million euro. If no winner is declared for the draw, the money rolls over to the next one and is accumulated. This means you have the chance to win more money if you pick the lucky 6 numbers in the next draw. Players who have 5 lucky numbers also stand a chance to win incredible prizes. Playing the jackpot is simple and straightforward. This means that international players also get a chance to gamble and win. As a player, you must be keen on knowing the biggest jackpot to be won in the history of Belgium Lotto. In 2014, one bet made one player one of the luckiest in the history of the lottery. By then, the jackpot had hit 11.18 million euros. 2011 also saw a whopping 8.47 million euros win, which was split among the 6 lucky players. This is a good prediction of what you stand to gain. There are More Winning Options! To increase your chances of winning, you need to cast your net wide. Another incredible option is the Euromillions lottery. Yes, the name is big and so are the wins. This lottery has created jackpots to the tune of €190 million, which was in 2012. It has also staged ‘super draws ‘with jackpots as high as €100 million. The lottery can be played on Tuesdays and Fridays. Playing the EuroMillions lottery is as simple as playing the Belgium Lotto. You need to choose your 5 lucky numbers from the 50 formats available. In the EuroMillions, you are also required to choose two additional numbers between 1 and 12. Another similar lottery to Belgium Lotto is the Eurojackpot and also Mega Millions jackpot. In this lotto, you also get to bet on the outcome of the draw. If your predictions are correct, you stand to win mega millions. The highest payout for the Mega millions was €618m) in 2012. To spread out your luck, consider these amazing jackpots.